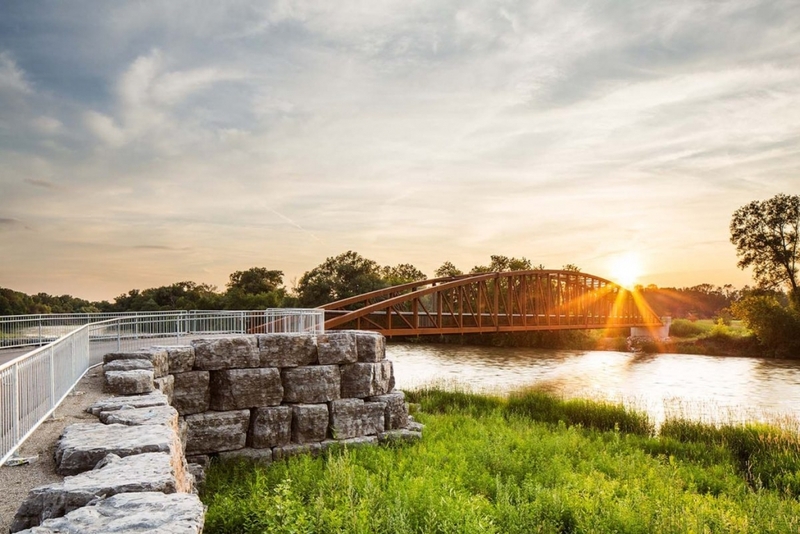 This project involved the construction of a 75m clear span weathered steel pedestrian bridge over the Grand River to link the North bank and South bank of the Walter Bean trail. 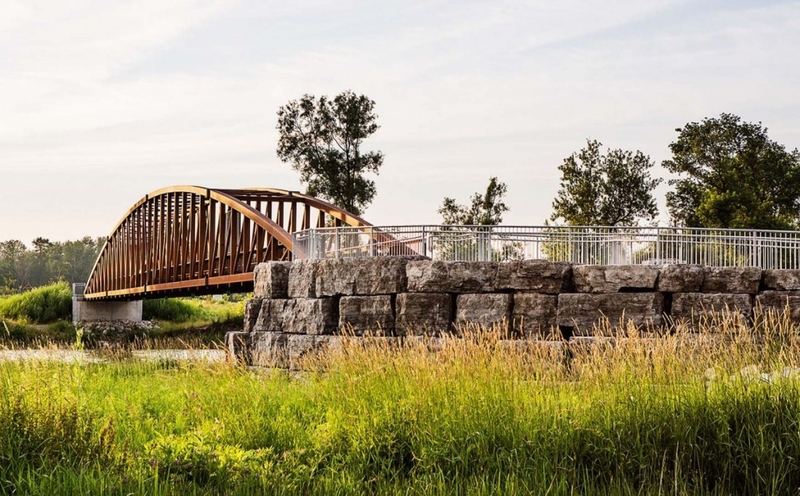 Other aspects of this project included asphalt paving, large armourstone retaining walls, concrete abutments, metal & wood railings, planting and seeding. 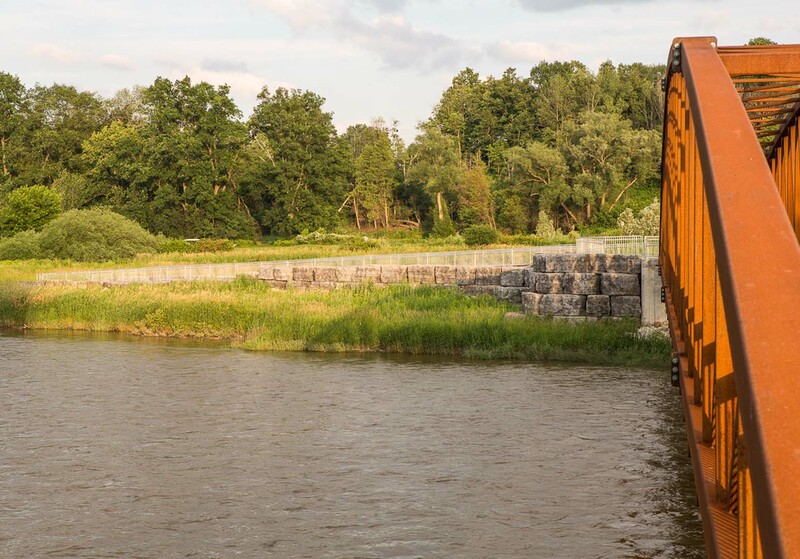 One of the numerous environmental restrictions in place for this project included the protection of bald eagle wintering activity and use by other migratory waterfowl. No construction work could be completed between November 15 and July 1. 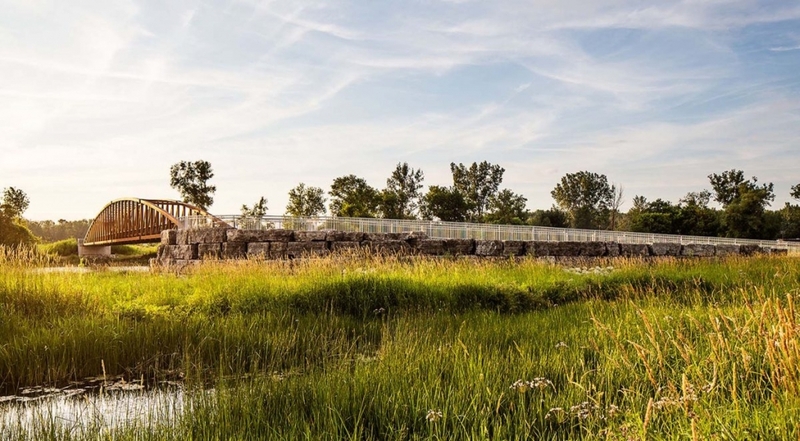 Other restrictions included extensive siltation and runoff control, No in-water works and boater warning signs upstream and downstream of the construction site. Access to the construction site also offered many challenges. The access route to the South abutment traversed several fairways of a municipally owned and operated golf course. Gateman-Milloy was required to conduct the work efficiently while ensuring the daily safety and convenience of the golfers and staff. 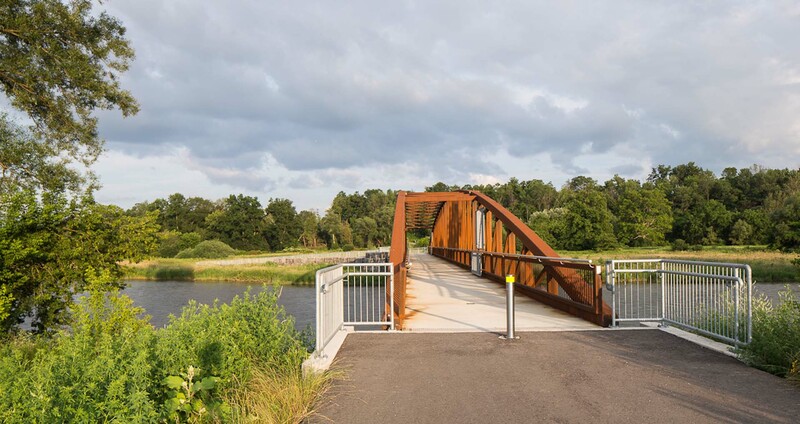 "Gateman-Milloy Inc. executed every aspect of the work to my complete satisfaction and the bridge was constructed with no deficiencies noted even though the performance tolerances were tight. Communication with the golf operation , the public and with the City of Kitchener was excellent at all times and the work has been conducted in an entirely smooth and professional manner."